Here at The Missing Link, we’re seeing that there is increasing pressure for IT teams to provide better service on a smaller budget. With technology moving at a rapid pace, most boards and senior management teams are now aware of the need for businesses to keep up if they want to become or remain competitive and attract the best staff. This is fantastic in that it gives CTOs a seat at the table, which would have been hard-fought 10 years ago. But with that inclusion comes a spotlight on resourcing, budgets and capability. How can businesses be more effective and save money? Cloud has been a game changer for organisations of all types, but there is a shortage of skilled specialists in Australia. According to SUSE’s recent study, 97 percent of IT leaders say it’s important to address and enhance skills in private cloud, and with hybrid cloud (94 percent). So, there is a gap to be filled, either with internal training or external support from businesses such as ours. 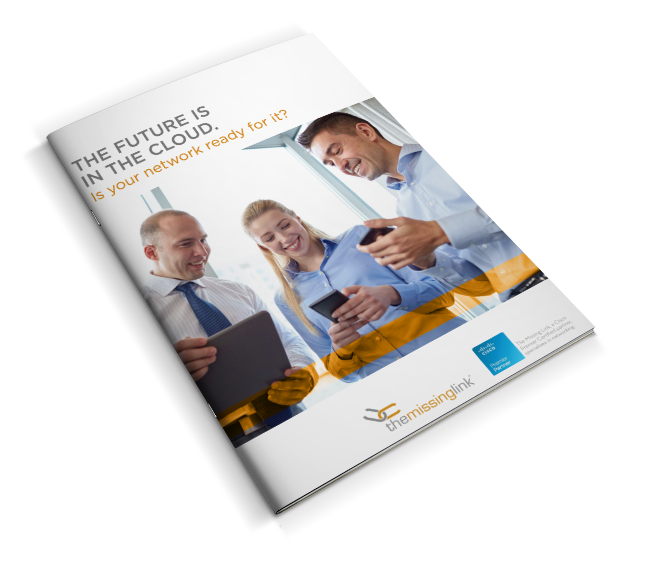 Moving to cloud managed networks, say from onsite network controllers or management software, enables businesses to be more agile. Often offered as software as a service (SaaS), businesses pay only what they need and can easily facilitate employees to work remotely. There are a vast number of providers that offer solutions such as cloud managed networks that help businesses achieve and exceed their goals in this area. Plus, providers such as Cisco, offer security and analytics as well, meaning you get a full-scale solution. Compliance: From industry mandated regulatory compliance, through to the ever present GDPR risk, CISOs are rightly concerned about how data is used and where it is stored by cloud networking providers. Cisco has a great blog about how they prepared for the GDPR as a business and what others can do if they’re not yet protected. It highlights the work that went into ensuring all the data they hold is compliant and secure. Security and privacy: There is still resistance from some IT leaders when it comes to trusting the cloud with business critical data. The move to infrastructure run outside of their traditional domain can cause concerns around privacy and security – after all, if you can login from anywhere remotely, can’t the cloud provider or hackers potentially do the same? This is why it’s important to understand the security processes in place and also, to ensure that internal access is only given to staff that need it – this will go a long way towards ensuring privacy and security. Availability: The risk of downtime can put off some IT leaders. Afterall, it creates a risk to do business in terms of productivity. SLAs (service level agreements) that state a specific level of uptime, should put these individuals at ease as 99.99% is a fair expectation. The Missing Link has achieved Cisco Premier Partner status by investing in the skills necessary to achieve the Express Foundation Specialisation. Plus, we have access to the most comprehensive sales, technical, and lifecycle services training and resources, direct from Cisco, so you know you’re in safe hands with us and Cisco. Let us help you with your cloud managed networks today.